A Bird Hunter's Thoughts: Where's my dog? Review: Garmin ASTRO 320 and DC-50 Collar. Where's my dog? 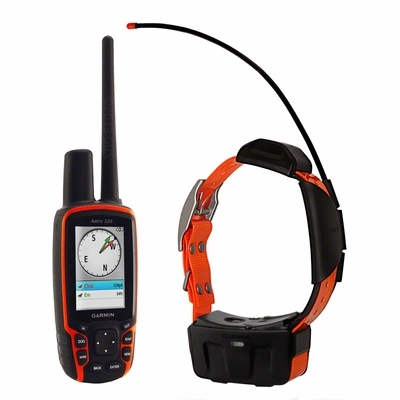 Review: Garmin ASTRO 320 and DC-50 Collar. Let me be perfectly clear. I love tracking collars. I will not put a dog down, hunting, without one. To my mind they have revolutionized bird hunting and how we work together with our dogs. That being said, the latest from Garmin in the ASTRO series is the ASTRO 320 coupled with the DC-50 collar. I've used the Astro 220 since its inception. The buttons are all worn smooth and I know the unit inside and out. The 320 is worth the upgrade. It is easier to read (for these old eyes), it is more intuitive in its operation (for the feeble minded) and it has some neat features (like sending collar information wirelessly to another 320 and putting "birds-eye satellite imagery" on the map). I'm still learning all the features, but I did notice there are numerous YouTube videos extolling the virtues of the unit. Just Google "Astro 320" and check them out. The DC-50 collar is interesting. Garmin moved the GPS receiver back to the top of the unit. The older -30 units (of which I still use one) had the gps receiver on the top and I never had problems with loss of the gps signal. Then the -40 unit came out (I have 2) with the gps receiver in the main housing under the dog's neck and suddenly we had gps unlock problems. I ain't no rocket scientist, but if satellites are above us, shouldn't the receiver be as well? (I know that was a cheap shot at Garmin, but I couldn't resist. I'm sure they have the same conflict between the engineers and the end-users that exists in most tech industries. I'm just glad they fixed it!) Another immediately noticeable difference is the long floppy antenna. This is what communicates to the handheld unit. I mean, this thing flops all over the place! Garmin says it is important to keep it away from the dog- for maximum range. It appears to be anchored and supported at the end so as to not get broken (as I experienced in the -40. Now, I carry extra antennas in the truck). I notice Garmin ships an extra with the unit, just in case. I'm wondering about thick grouse cover and this thing whipping around and getting caught up and creating stress fractures over time. Stay tuned for more info on that as the hunting year progresses. I really hope it is no problem. Another cool feature is the "lost mode", where the tracking automatically changes over to once every 2 minutes when the collar battery goes to 25% power remaining. I normally keep my collars on the every 5 sec mode (and that seems inadequate, at times). If Fido gets lost and the battery starts getting low, then the every 5 secs changes to every 2 min, thereby lengthening the life of the battery. This is not the default setting and it should be! It only takes a second to set it up on the collar, via the handheld, but I hope they change that in the next software upgrade. I've heard the handheld battery life is an issue. I put fresh, rechargeable batteries in my handheld every day when I'm hunting. Wherever I go, I recharge batteries every night and start fresh every day. I can imagine the units are power hogs, however, and I suspect that is one of the system limitations as with most electronics. Bottom line: Upgrade to the ASTRO 320. As for the DC-50, if you have the money and inclination, get it. I see no reason to lay down a $150 DC40 (or several) just to snap up a -50. I may go to a "must buy" in the future, but I want to get a full season on the unit before I commit.